I love the 3 ring shot. Always beautiful. Also that book looks rather interesting?! I am absolutely loving these. Gorgeously simple and stylish. Beautiful rings. Love the shots too.... 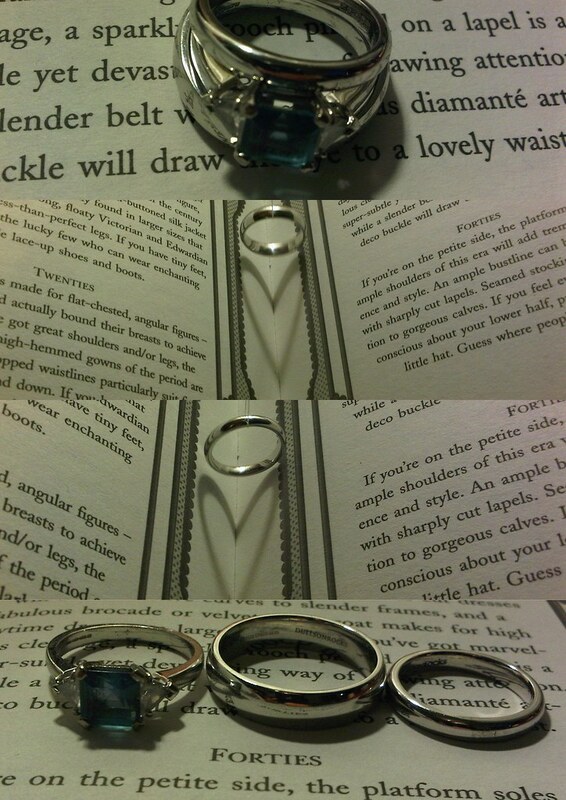 Somehow the ring looks like it's hanging instead of sitting on the book in the second and third pic. Pretty cool! @Anna - thanks. It's a book about vintage fashion. @Blushingjoy - you're right, they are hanging. I just couldn't get them to sit on the book without a little help.